Even after all of these years of writing the blog, I still love pens. Crazy right? Although I do enjoy nearly all pens, there are times when one intrigues me just a bit more than most and I know I need to try it. 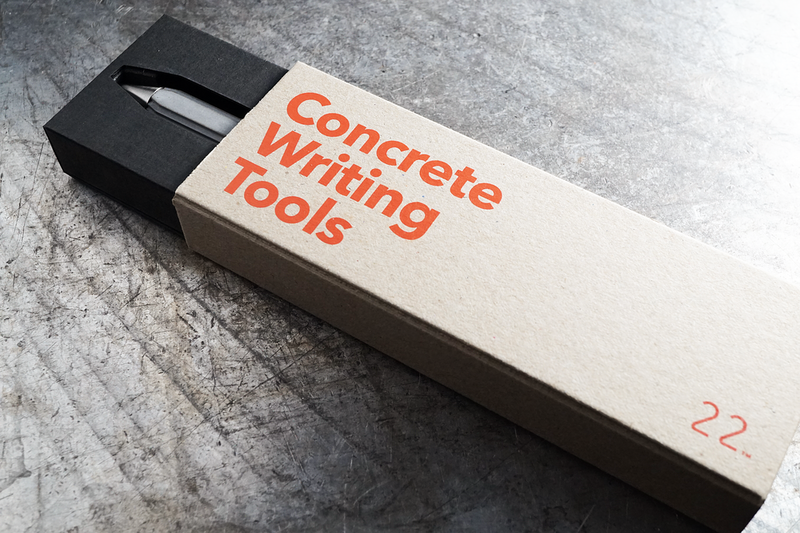 There is a brand I've seen on occasion, 22 Design Studio, that has a line of goods that are made from specially cast concrete which are absolutely stunning. Upon seeing them they take you a bit by surprise, like interesting architecture or a unique concept car; you recognize what it is (or "does") but its form seems like something that shouldn't really exist. It blurs the lines of art and function so well that you can't help but lean into it. There are a lot of highly practical and conservative products on the market to serve the masses, but there are very few that take bold design risks and create products that may only serve a very few. Kohezi Amsterdam is a retailer that specialized in curating products that fit the above and they were kind enough to send me this pen for review. If this pen intrigues you, please take the time to look through their store as they surely have other goods you've also never heard of in the same vein. The pen model in review is called the Contour, which is a series of writing tools by 22 Design Studio (or just "22") that comes in a fountain pen, rollerball, clutch pencil, mechanical pencil, and now this new ballpoint version. The look of the pen is so interesting. In creating the design they opted to do a textured, stair step approach which, in my opinion, is what really makes the pen. There are a lot of round and even a good amount of faceted barreled pens, but not many quite like this. On each side of the pen are 11 steps roughly a millimeter in height... put those together and you end up with... 22. I can't presume this is a coincidence. From a branding standpoint there is a thin type set "22" protruding slightly from the barrel as part of the casting process. Over time and years of use there is a good chance this may wear away as the pen shapes and molds (contours?) to you as the user. Being concrete you'd think the pen might be heavy, but the overall weight of the pen is just 1.2 oz which quite surprised me. I wouldn't consider the pen small as it comes in at a length of nearly 5.75" and is around 1/2" at its widest diameter. From a comfort standpoint, I will admit that the pen isn't cozy at all holding points. It actually took me a little bit of trial and error to find a grip that didn't include the steps pressing against my fingers. The barrel shape is more of an oval, if that makes sense, and has flatter sides that merge into the sharper step side. If you can think of a standard triangle grip, I found the most comfort with my middle finger and thumb on the flat sides, and my index finger at the apex of the ridges. Aside from getting the grip right, the pen feels actually quite soft to the touch yet a bit cold. Very interesting. I've noticed over the last few weeks of using the pen that it has started to take on a patina around the edges from the oils in my hands, similar to how a brass or copper pen would but not as smelly. I'm actually quite curious as to how it will continue to break in as I use it. Will it get smooth and worn or just get a sort of "film" which sounds less pleasant. "You are encouraged to avoid storing our products in humid or wet environments since water will penetrate pores of the concrete and weaken the structural integrity of our products. Thus, items created by 22 should not be brought into the shower or worn during water activities." To the above, if the pen gets dirty there isn't really a good way to clean it. At least not with water which is good to note. There is one thing that was sometimes difficult when clicking. We'll call it an annoyance, but not a quality control issue. The clip's placement has the top of it resting just slightly above the knock mechanism seating section which, as you press, can meet your thumb first before the click engages. So, when you click with your thumb it stops short which either means you press a bit harder and push into your flesh (not the most fun), or learn to move your thumb slightly so the clip doesn't touch it in the first place. Not a deal breaker, but something to point out. If the top of the clip was 2mm lower it would be a non issue. Speaking of the clip, it is solid stainless steel and has a spring action. 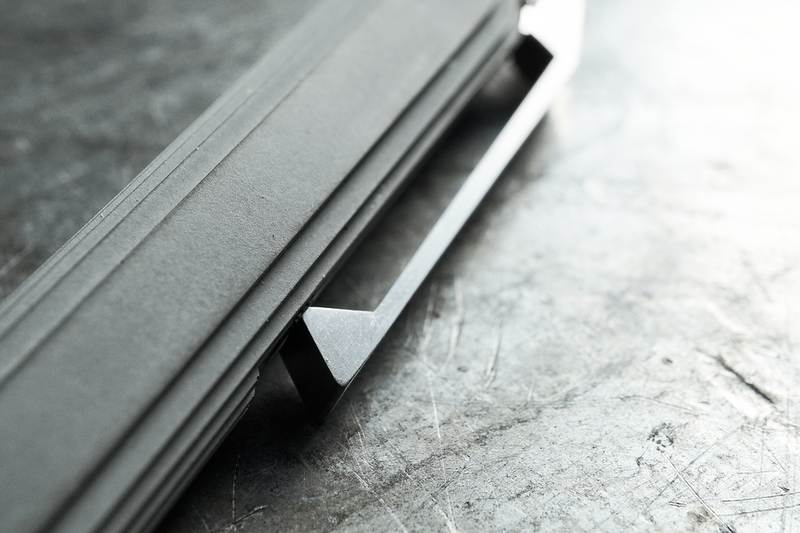 Embedded in the concrete barrel is also a tiny steel plate to prevent unnecessary wear as the clip opens and closes. 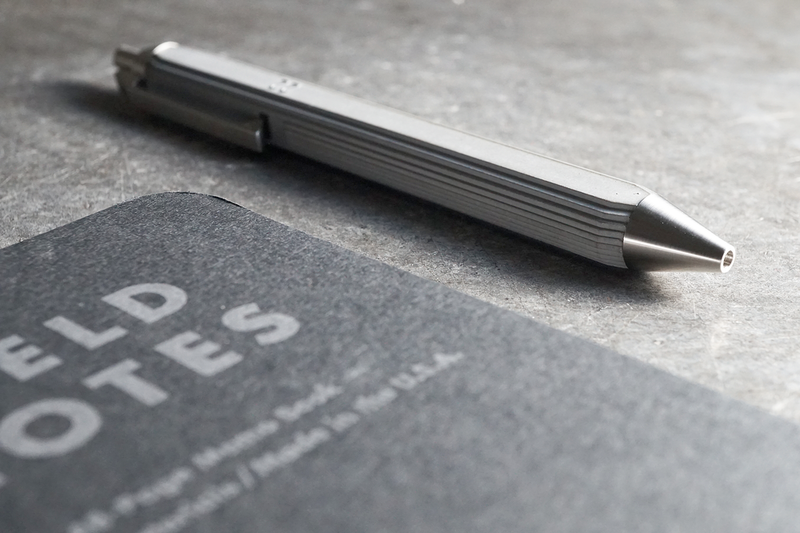 The hardware on the pen is also solid, brushed stainless steel which looks fantastic agains the more matte concrete barrel. I've shown the pen to quite a few people and most have asked me: "what if you drop it?" I can say without reservation that this is a wonderfully made product. The internals are also made of brass and nothing (NOTHING) feels amiss from a quality standpoint. The price point on the pen isn't cheap at $90 - 100 depending on the exchange, but for what you receive I wouldn't blink in saying it was worth the price. There are fancy resin ballpoint pens at 2 to 3 times the price, but without nearly as much character (or quality...). To me this is a very special and interesting product on the market and I'm extremely glad it exists. Is this the right choice if you are looking for a purely practical pen? Probably not, but if the form and design of this pen resonates I'd strongly consider it. Thanks again to Kohezi for sending the pen for review!